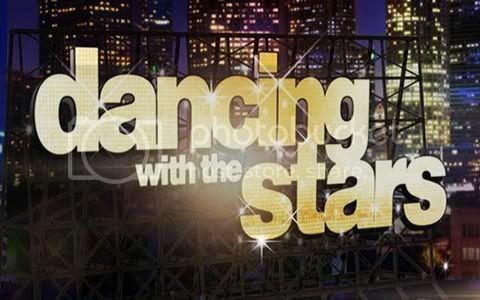 Quick Take: Dancing With the Stars 14 "Week 6 Results"
Review: Dancing With the Stars 14 "Week 6 Results"
(S1412) Opening the results show this week, the Dancing With the Stars band performed a medley of Motown classics. Quite honestly if the producers ever decide to do this theme again they should stick with the band to do the music. After a spectacular performance Monday night, Jaleel and Kym were the first ones to learn that they were safe for another week. Of course to add to the suspense they split the cast in half and let us know four couples were safe and four others were in jeopardy. Those in jeopardy were Maria and Derek, Melissa and Maks, Roshon and Chelsie and Gladys and Tristan. In the AT&T Spotlight Performance ballet dancer Michaela DePrince performed as Natasha Bedingfield sang "Wild Horses." Gearing up for Classical week next week in the Macy's Stars of Dance segment Shaping Sound performed to a classical arrangement of David Guetta and Usher's hit "Without You." And rounding out the performances, Boyz II Men, who still sound as great as they did twenty years ago, performed a song from their new album appropriately titled "Twenty" called "One More Dance." Dueling it out this week to the jive were Roshon and Chelsie and Gladys and Tristan who found themselves in the bottom two. Both couples turned out solid dances but in the end it was Roshon and Chelsie who were saved. It wasn't unanimous as last week though, Carrie Ann voted to save Gladys while Len and Bruno voted for Roshon. We'll see how things go next week as Dancing With the Stars goes classical.